A large, double reed instrument that is found in the woodwind section of most symphony orchestras and concert bands. 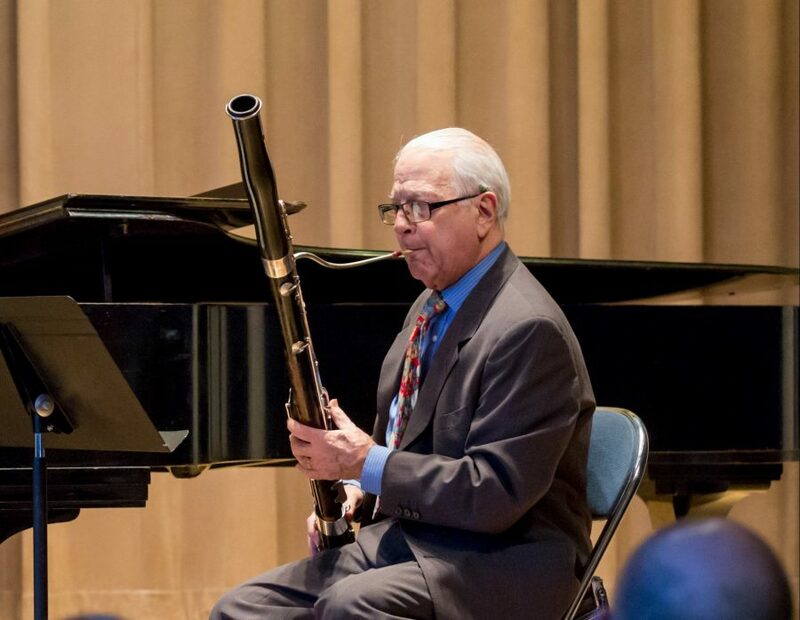 Much like its smaller and higher pitched cousins, the oboe and the cor anglais, the bassoon is played by vibrating two thin pieces of wood against each other. The sound travels from the reeds through the long wooden body of the instrument, where the player can change the pitch by manipulating a series of metal keys. Bassoons have become beloved members of the orchestral family because of their low pitch, which is reminiscent of a male singing voice.